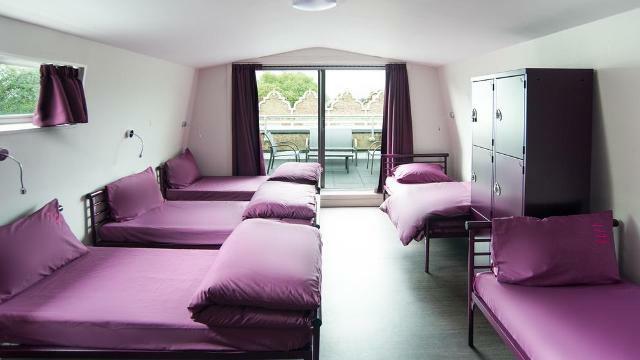 Safestay Holland Park is situated in a Grade I listed building in West London. Guests will benefit from a large garden with pond and free WiFi access is available. Holland Park Tube Station (Central Line) is just a 4-minute walk away and provides easy access to central London. At Safestay Holland Park you will find a 24-hour front desk, a garden and a terrace. Other facilities offered at the property include a shared lounge, a games room and luggage storage. Westfield London is just 1.3 miles away and features a wide variety of designer shops, places to eat and a cinema. The world famous Portobello Market can be reached in less than 20 minutes' walk. Is Safestay London Holland Park your business?